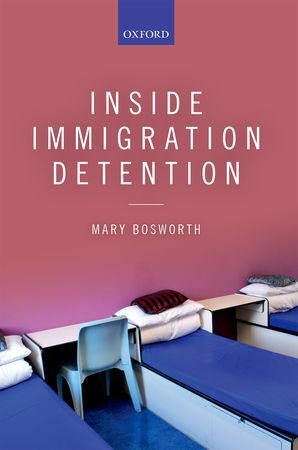 In September 2014 Mary Bosworth published the first national study of life in Britain’s immigration removal centres (IRCs). Granted unprecedented levels of research access by the Home Office and the custodial companies, Mary documents the experiences of staff and detainees across 6 centres, in order to flesh out our understanding of these hidden institutions. In contrast to the vehemence of much popular and political discourse, she finds considerable levels of uncertainty and ambivalence about border control, raising questions about the justification and impact of current practice. Listen to Mary talk about her research here, and read about related work she and others are doing on the intersections of border control and criminal justice on the website.